A new concierge service that would take care of servicing, cleaning and refuelling for XC90 and S90 drivers is being trialled by Volvo. The pilot programme is taking place from this month in San Francisco and will eventually cover around 300 drivers, offering a raft of services that will become an integrated part of the Volvo On Call mobile platform. Drivers in the pilot can use an app to identify concierge services available in the immediate vicinity and order them via their smartphone. Requests are then sent to an authorised Volvo service provider, who will refuel the vehicle, perform scheduled maintenance, or whatever additional service the owner has requested. 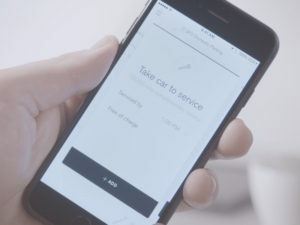 The app makes use of Volvo’s developments in digital keys, providing a one-time-use digital key, which is location- and time-specific, and sends it out to the authorised service provider. When the services are complete, the car is locked and the digital key expires. The car can also be returned to where the customer left it or delivered to a completely new location.